When that perfect packing snow can't be ignored, this puffer Columbia Boy's Youth Pike Lake™ Jacket brings the heat. Those little silver dots on the lining provide bonus warmth. Fleece-lined pockets add a touch of softness. And, the OUTGROWN™ system lets you expand the life of the jacket by extending the cuffs as he grows. 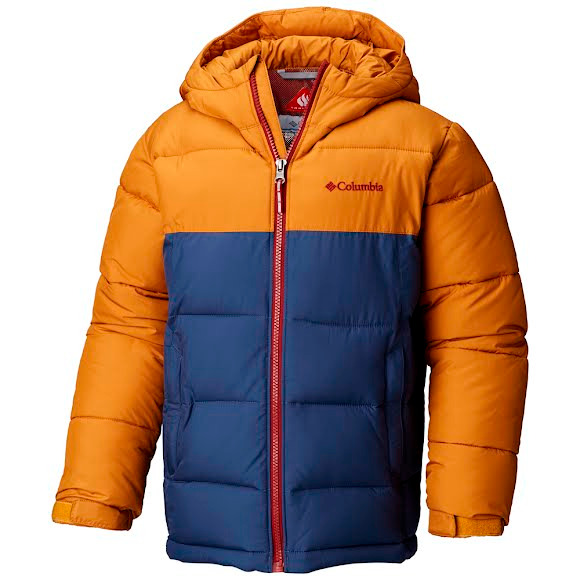 When that perfect packing snow can&apos;t be ignored, this puffer Columbia Boy&apos;s Youth Pike Lake™ Jacket brings the heat. Those little silver dots on the lining provide bonus warmth. Fleece-lined pockets add a touch of softness. And, the OUTGROWN™ system lets you expand the life of the jacket by extending the cuffs as he grows.